Below is a mock-up of this years bib numbers. We ask that all competitors wear their number on the front of their body on their outer-most layer at all times. 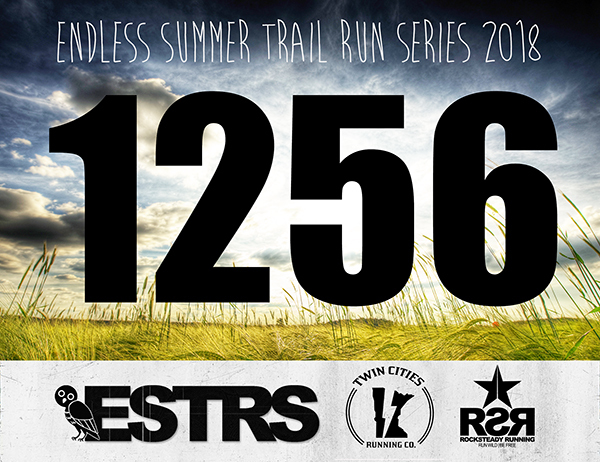 Endless Summer Trail Run Series races will be chip timed. 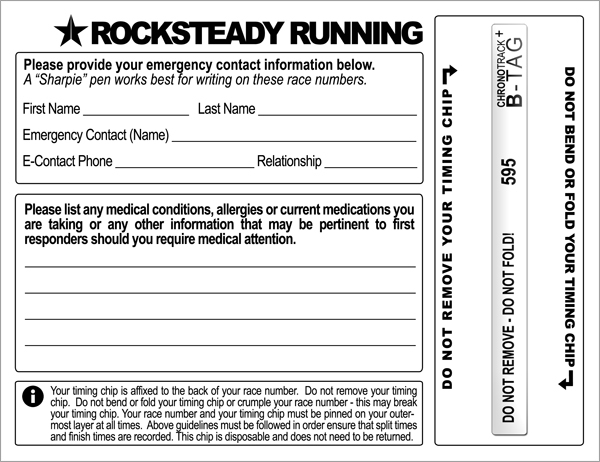 Your timing chip will be affixed to the back of your race number. Do not remove your timing chip. Do not bend or fold your timing chip or crumple your race number – this may break your timing chip. Your race number and your timing chip must be pinned on your outer-most layer at all times. Above guidelines must be followed in order ensure that split times and finish times are recorded. This chip is disposable and does not need to be returned.